Owen Davian: [to Ethan] We put an explosive charge in your head. Does that sound familiar? Q: What was the piece of text on the card that Ethan was forcing Davian to recite? Q: Is 'Mission: Impossible III' based on a book? An IMF agent kidnapped, a helicopter chase through windmills, a weapon of mass world destruction that cannot even be comprehended, hot new cars exploding, bridges blowing up, complex architectural geometry---metric system style, a Hannibal Lecter-styled restraining mask and of course that lit fuse that has always been the trademark of this television series/cinematic idea. Life is good for Tom Cruise in Virginia. 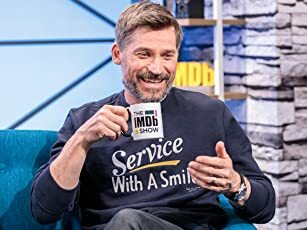 His IMF days are relatively calm as he trains specialists while posing as an ordinary guy with new fiancé Michelle Monaghan. However, things are about to shatter in striking fashion as a crazed international arms dealer (recent Oscar winner Philip Seymour Hoffman) is after an elusive device deemed as an anti-god weapon only known as the "rabbit's foot". Thus it is up to Cruise and his new team (franchise alum Ving Rhames and newcomers Maggie Q and Jonathan Rhys Meyers) to attempt the difficult and accomplish the impossible. IMF leaders Laurence Fishburne and Billy Crudup round out the high adrenaline mix. 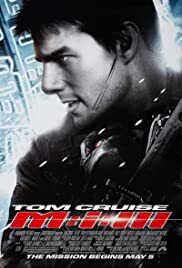 From Berlin to the Vatican to Shanghai, "Mission: Impossible 3" takes out all the stops and winds itself up into a heated frenzy from its shocking opening sequence all the way to its dramatic, action-packed conclusion. Making the audience forget the disaster that was "Mission: Impossible 2", first-time director J.J. Abrams (best known for ABC's breakout television hits "Alias" and "Lost") gets back to what made the original in 1996 so great and interesting---liquid mercury flow and pace. Cruise is near the top of his game and Hoffman is a legitimate scene-stealer in every sense of the term (even though his screen time is somewhat minuscule when you stop to think about it). The premise did not end up being Jerry Maguire vs. Truman Capote though as the duo gets into a crazed match of wits and verbal exchanges that culminates into sparks that are just as well thought-out and executed as the most intense of action motifs. As summer blockbusters and entertainment vehicles go, you can't do much better at the movie house than this winner. 4 stars out of 5. 31 of 63 people found this review helpful. Was this review helpful to you?